Kolos Studios is a creative media company based in Moscow, Russia. Whether it is an original piece of music, photography, or film that you are looking to create, Kolos Studios is the place for you! 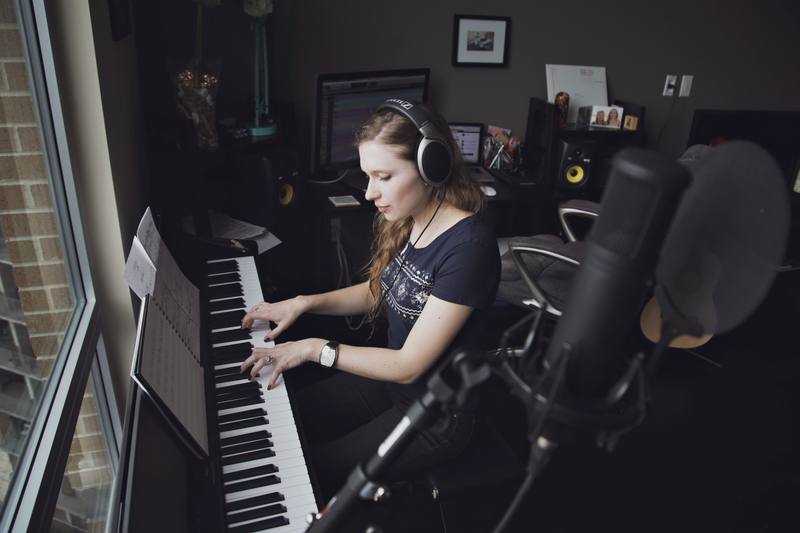 Kolos Studios was started in the world’s live music capital – Austin, Texas, by Olesya Kolos, composer and music producer from Moscow. 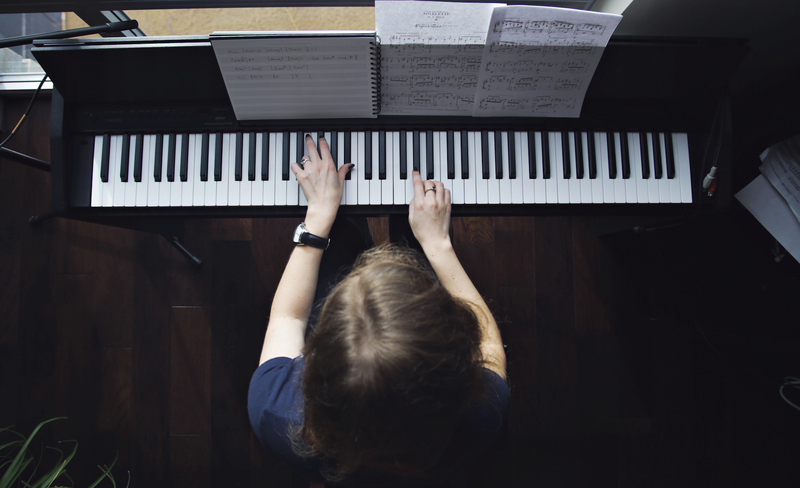 She is a classically trained pianist, who developed her passion for film scoring and music production during her studies at the University of Texas at Austin. 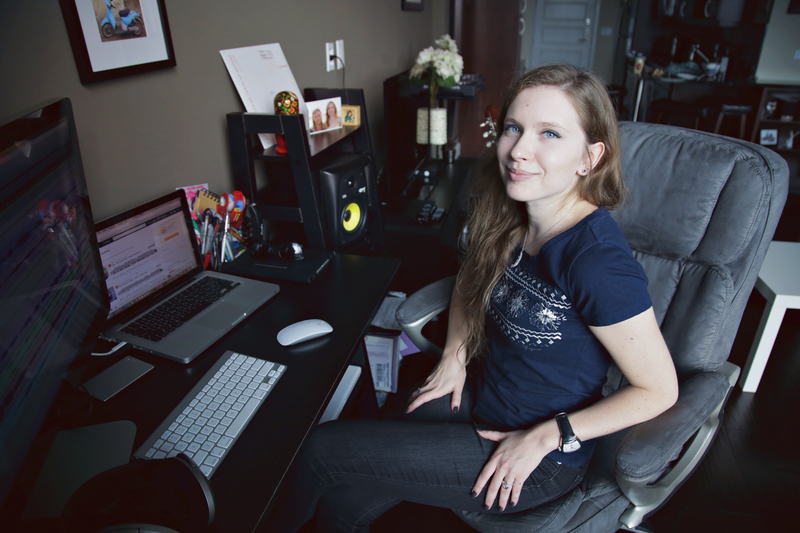 Olesya likes to create media content by combining visual arts with music. Among the projects she produced within the company are film scores, promotional videos and photography, music for podcasts, and other. She worked with Gary Powell, Disney composer and a professor at UT Austin, InfiniD Music, Austin Classical Guitar Society, SXSW, and numerous talented musicians, producers, and video makers worldwide. Olesya would love to become a part of your next project and help you meet your creative needs. To see her latest works, please, follow this link or contact her directly via email here. Olesya Kolos in her studio in downtown Austin. Pictures taken by Marshall Tidrick Photography and edited by Daria Gorshkova Photography.